The Team composed of Eric Clark Su, Francis Jed Guipo, and Orlando Yanson made Epic Life a port of the best-selling, open source, minimalistic text adventure game “A Dark Room” that uses words as a form of play. It bested 10 other semi-finalists and won for the team USD 6,000 (PHP 260,000) in cash and USD 3,000 (PHP 130,000) worth of devices. Since Epic Life is basically a text game, it easily fits into Samsung’s wearable devices specifically the Gear, thus, players can do tasks and gather resources even without their phone. 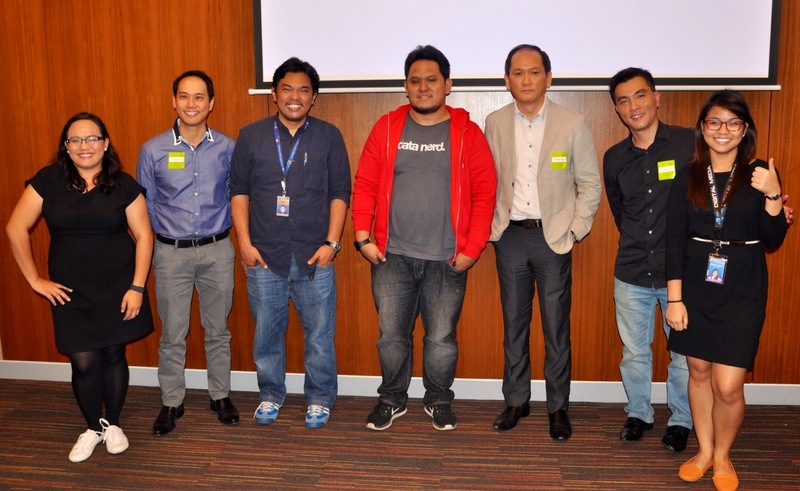 The game was built through the Application Programming Interfaces (APIs) of Globe Labs and Samsung. “We are excited to bring Epic Life to Singapore and give the winning team the platform to showcase their talent in technology and design. This is another big break for the developer community in the country as participation in the regional competition may give them opportunities for go-to-market partnerships, distribution, and investments,” said Anne Michelle Santos, Manager for Developer Relations of Globe Labs, the developer community of Globe Telecom. Second place went to VoiceUp of Enrique Florendo, Marisa Oge, and Farouk Meralli. VoiceUp takes the best experiences of wildly popular singing competitions like The Voice and American Idol and puts them on a smartphone app. With VoiceUp, aspiring singers have the chance to get discovered by simply singing into their phone and be rated by general users of the app. Singers will rise or fall in a real-time billboard chart. Social features such as commenting, following and sharing to other social media sites creates a connected and engaging experience for users. The team went home with USD 2,000 in cash (PHP 90,000). The Globe - Samsung Regional App Challenge formed the Manila leg of the SingTel Group-Samsung competition which aims to identify innovative startups in the region, help them to accelerate their app development and connect them with operators within the SingTel Group which have a combined mobile customer base of over 500 million in 25 markets across Asia and Africa. All winners from the participating countries will go on an all-expense paid, one-week accelerator program in Singapore this October and vie for the Best App. The final winner will get marketing support from operators within the SingTel Group and Samsung to launch its product in their respective markets. Judges for the competition are Santos, Greg Igaya, Director, Globe New Product Development; Cris Concepcion, Director, Samsung Content & Services; and Teo Han Yong, Director, SingTel International Regional Products.